At Barming Primary School we believe learning different Languages prepares pupils to participate in a rapidly changing world in which work and other activities are often carried out in languages other than English. The rise of international commerce means that pupils need to be equipped with the skills needed by the international workplace. The choice of which language to teach is secondary to the lifelong language learning skills that the pupils will be encouraged to develop. Skills that they will be able to access in the future will help them to learn new languages or to improve their competence in an existing language. Increased capability in the use of a variety of languages promotes initiative, confidence and independent learning and encourages diversity within society. 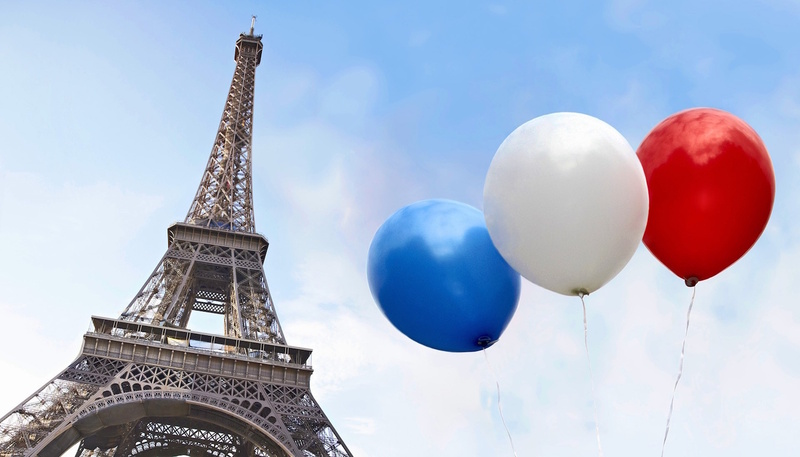 At Barming Primary School, French is taught to the children in Year 3 and 4 although there are opportunities for Key Stage 1 to learn some basics during curriculum days, such as the popular Bastille Day. The French lessons we teach promote an interest in learning other languages, introducing the children to another language in a way that is enjoyable and fun, and encouraging an awareness of cultural differences in other countries including understanding that the language is part of the culture and that learning the culture is a necessary part of learning the language. The purpose of the lessons are to also develop the speaking and listening skills of the children, make young children aware that language has a structure and that the structure differs from one language to another and to lay foundations for future study. The curriculum that is followed is based on the guidance given in the National Curriculum, using a bespoke scheme of work. The children are taught to know and understand how to: Ask and answer questions; use correct pronunciation and intonation; memorise words; interpret meaning; understand basic grammar; use dictionaries; work in pairs and groups, and communicate in French and to look at life in another culture. 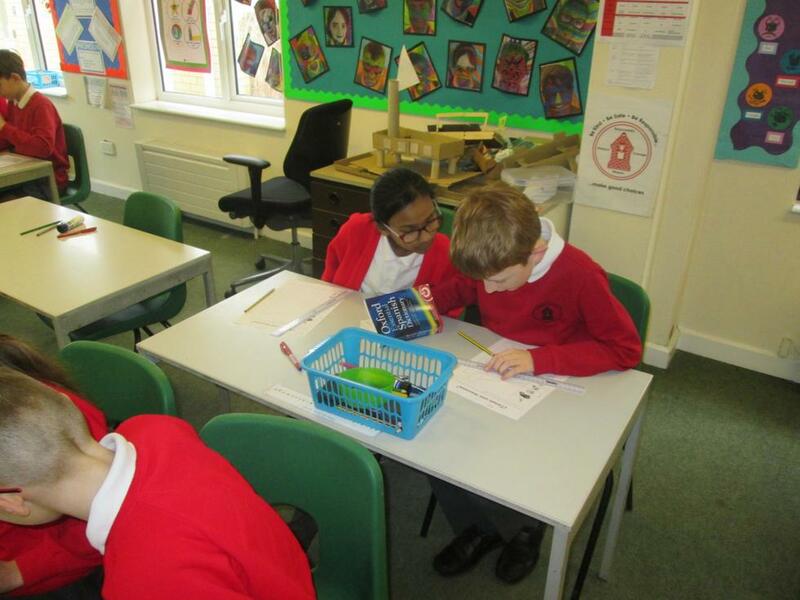 During French sessions children are given the opportunity to work as a class, as individuals and as part of a group. The choice of class organisation is determined by the learning task. By its nature, languages will involve lots of interaction with visual, auditory and kinaesthetic prompts. 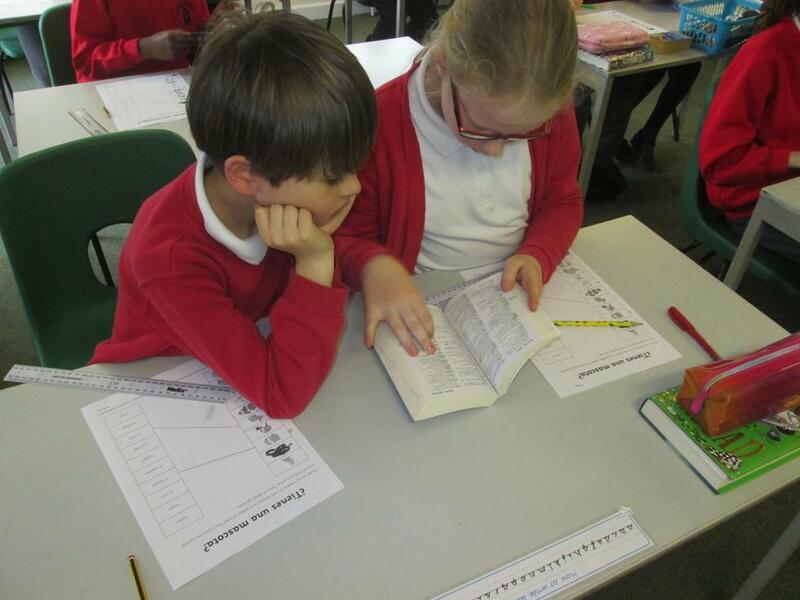 When children reach Year 5 and 6 they will learn Spanish. This is from bespoke planning that is very similar to that of French in lower Key Stage 2. Languages are currently delivered by our PPA teachers. Our Language Leader is Mrs A Ingram. 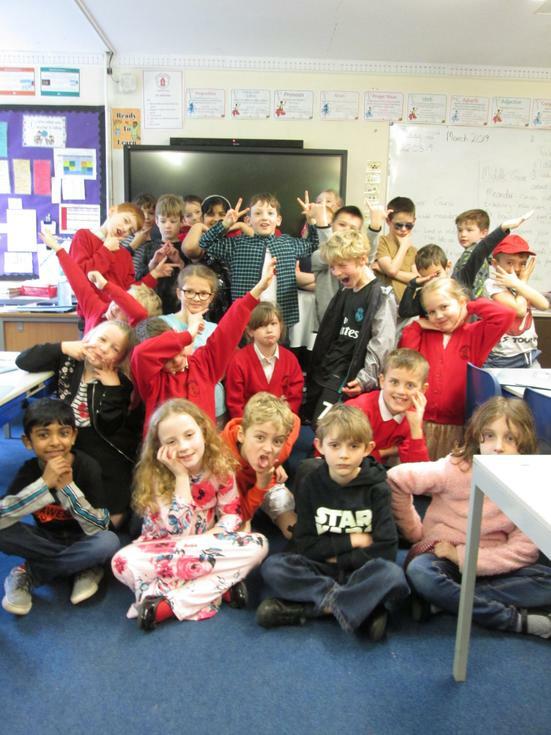 Year 3 - Term 4 - Fashion Show! 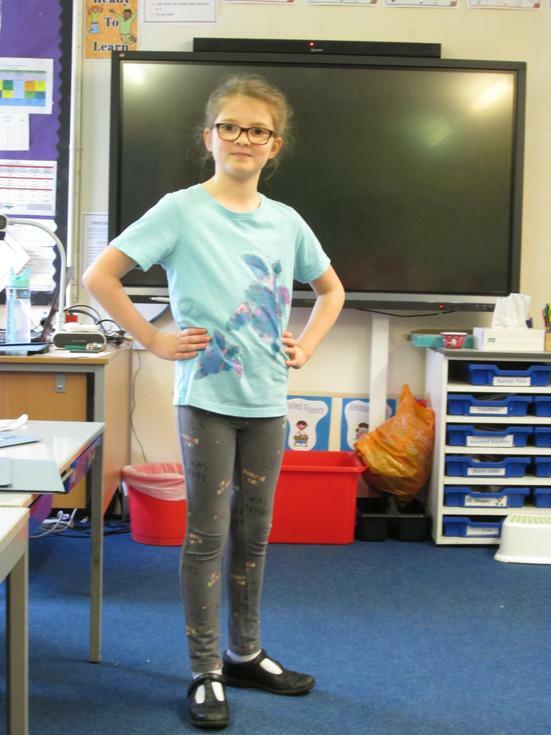 This term we have continued to talk about clothing. The children have become more confident in describing what they are wearing, including colours. 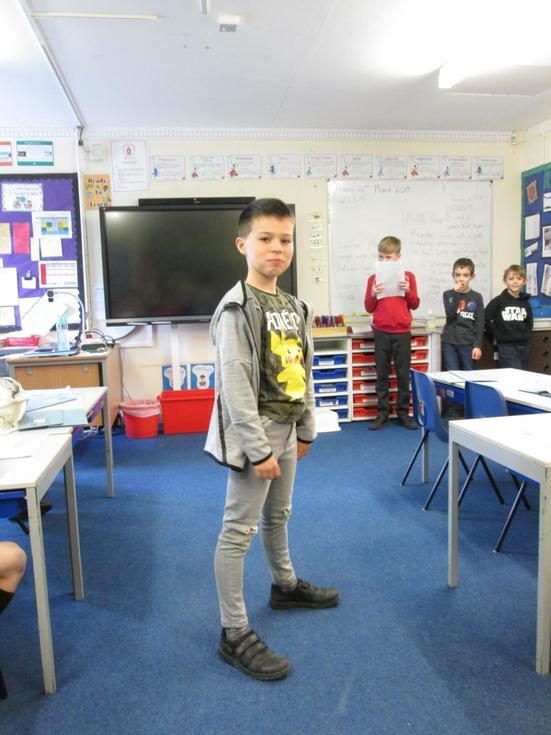 We decided to have a fashion show to practise this vocabulary further. 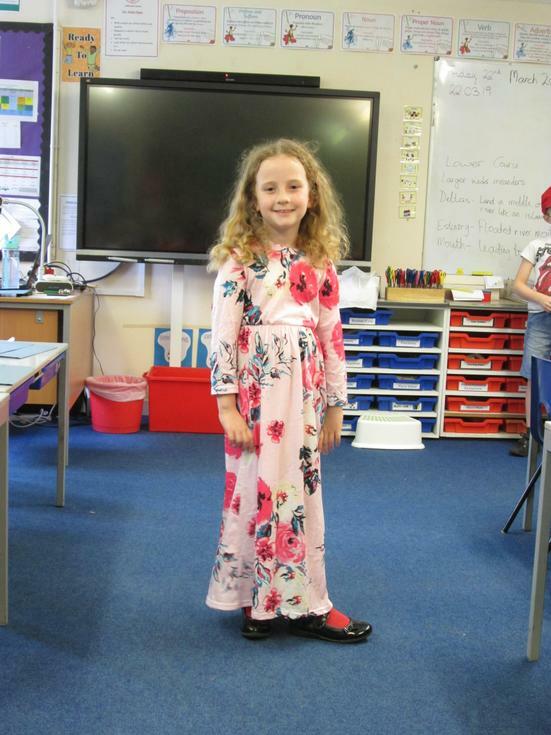 The children brought in an outfit from home and each group wrote a short piece, introducing each child and what they were wearing. 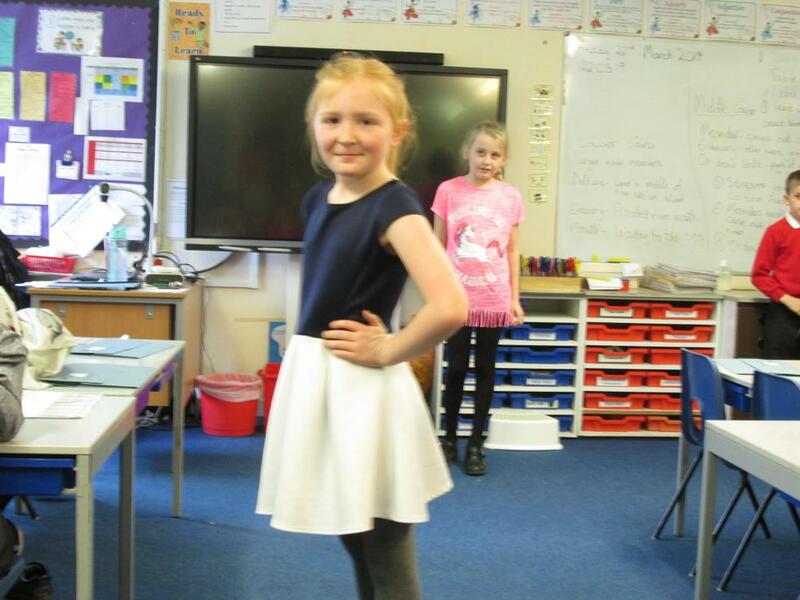 We then held our fashion show in the classroom and the children paraded up and down in their outfits. Here are some of the highlights. Term 4 - Spanish in Year 5. 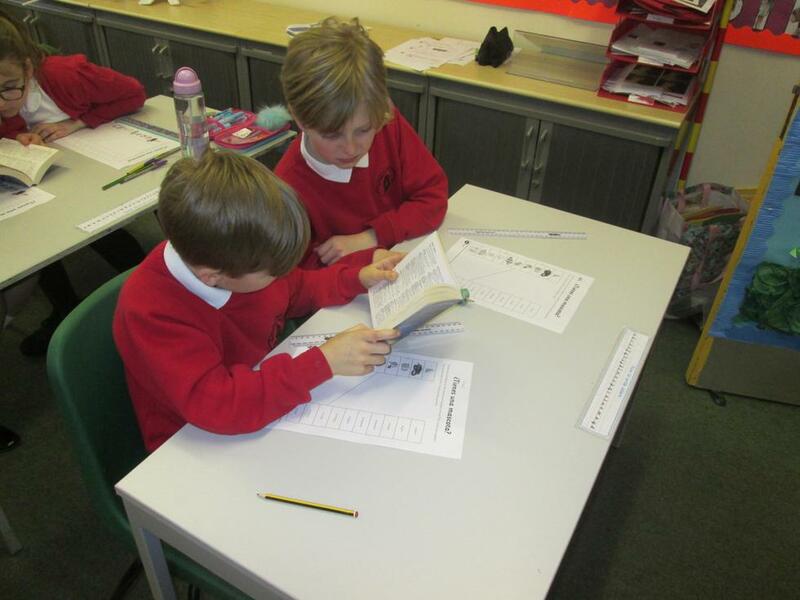 We have been developing dictionary skills and looking up the vocabulary for pets. 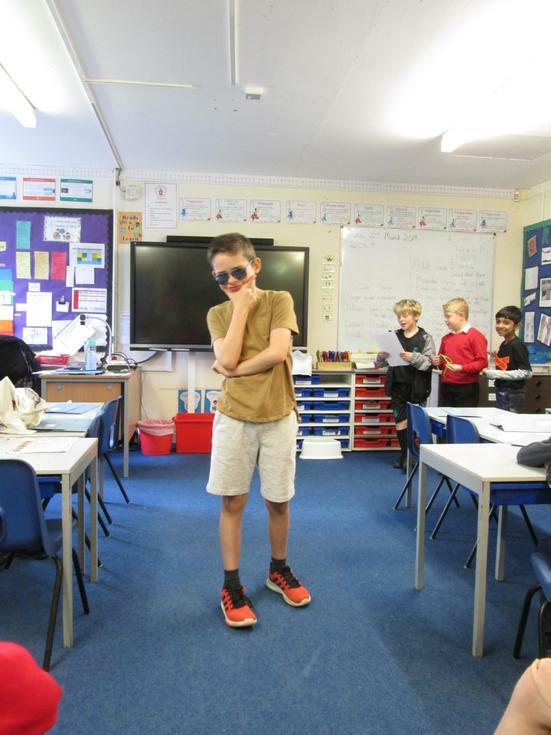 We celebrated Bastille Day on Friday 13th July. Bastille Day is a French national day of celebration. In France it is formally known as ‘La Fete Nationale’. During Bastille Day all the children had the opportunity to visit the ‘Café De Barming’ which was set up and run by our very own Year 6 children. In the café the children were able to buy a French pastry and a typical French drink. When buying a pastry and drink the children were encouraged to practise their French skills by ordering in French and paying with Euros. The children even got an opportunity to visit the bureau de change before-hand to experience changing money. 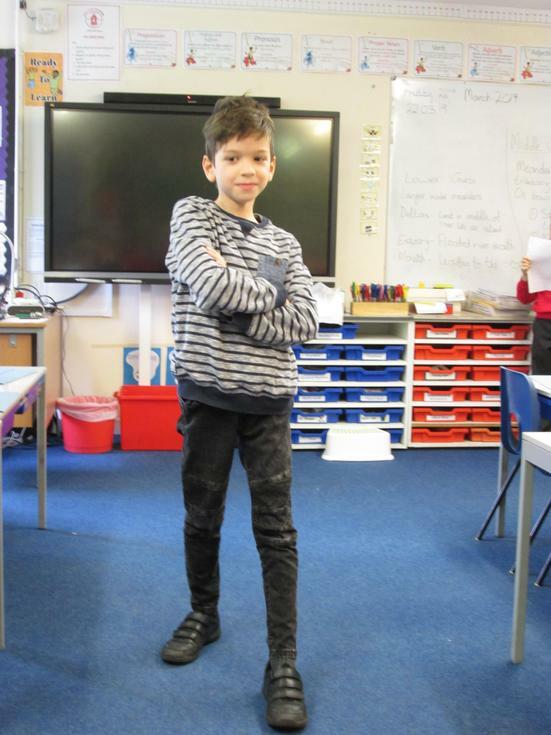 Children who were not in the ‘Café De Barming’ completed a range of activities in their own classrooms, some of these included; practising their French or painting in the style of different French artists, such as Georges Seurat (who created a pointillism painting of the Eiffel tower). 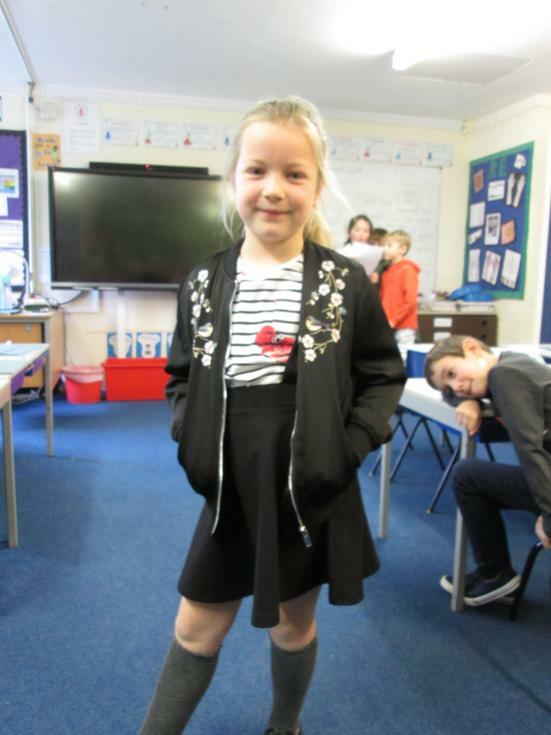 Other activities included learning about the Tour De France, finding out the background around Bastille Day and completing quizzes to test their knowledge and understanding. 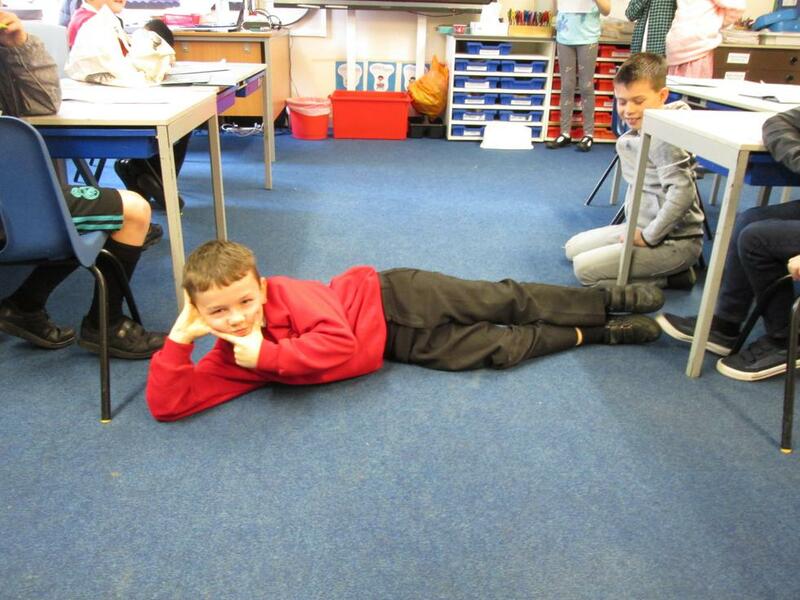 All of which supported their understanding of French whilst making the experience one to remember!